Are you a bride-to-be preparing for your dream wedding? Perhaps you’re in the fantasy stages—dreaming of the day when your groom-to-be will kneel on one knee to ask the perfect question? 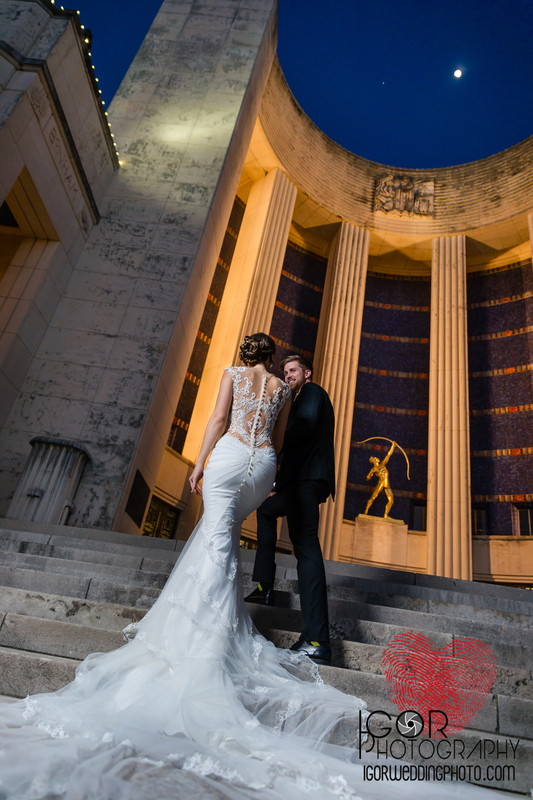 Whichever side of the aisle you’re on, for the very best in Dallas wedding photography, these historic landmarks will give you reason to place them at the top of your venue options. The following venues have all breathtaking architecture, elegance, and romance as rich as its history. We enjoyed the wedding of our lovely couple Kelly & Phillip at the historic 1899 Farmhouse wedding venue so much. They welcomed us and really made us feel like family, we go over and beyond for all of our wedding clients. You need wedding photographers who will run with you, climb with you, and explore with you! 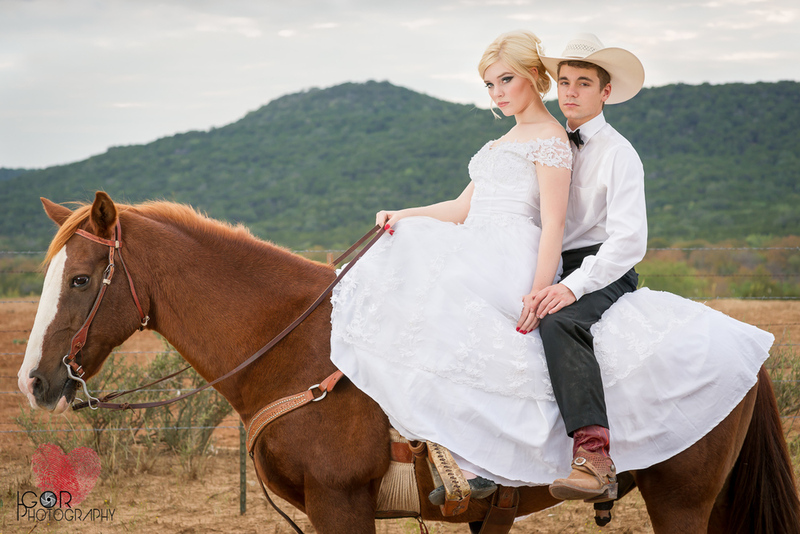 Igor wedding photography is the best choice for creative wedding photography among all the Dallas & Fort Worth wedding photographers. 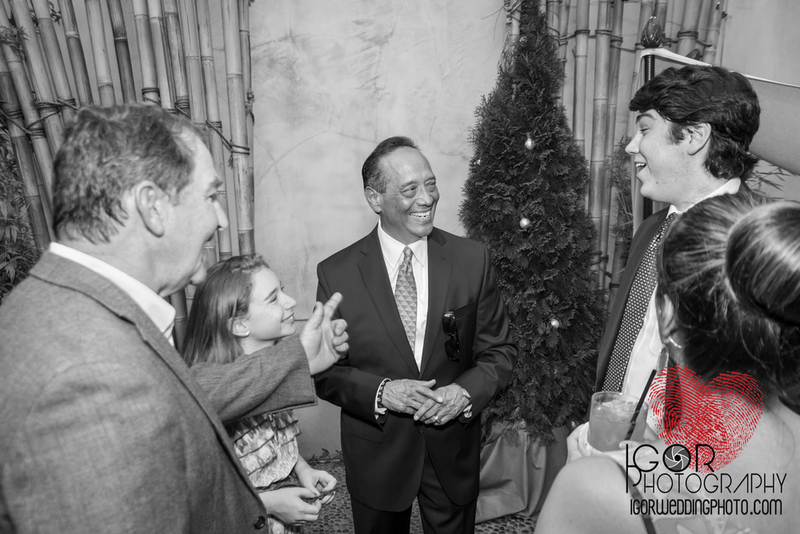 I think that this Princeton wedding shows the variety of wedding portraits and candid shots that we always get at our weddings. 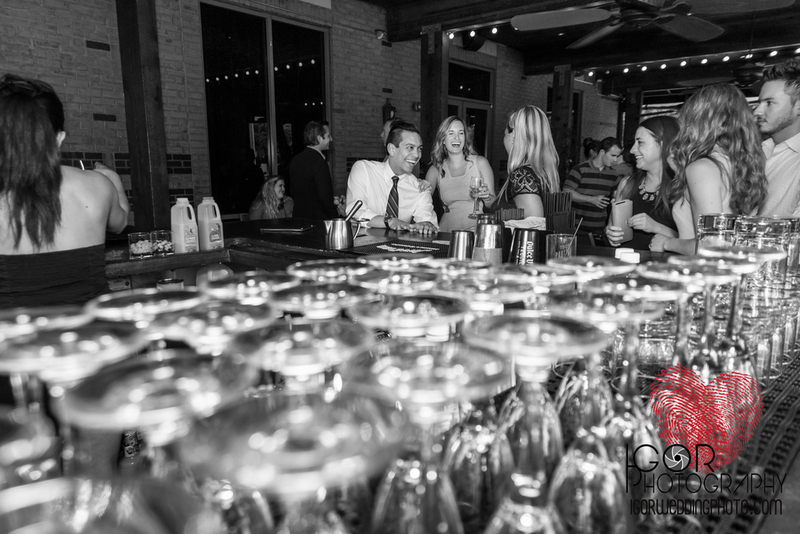 Kelly & Phillip knew they had chosen the best Fort Worth wedding photographers when we shared a genuine interest in the initial consultation about their personal story and allotment of time we needed to create awesome wedding imagery. In each consultation, Igor and I, try to explain the importance of giving us enough time to help us capture magical moments. 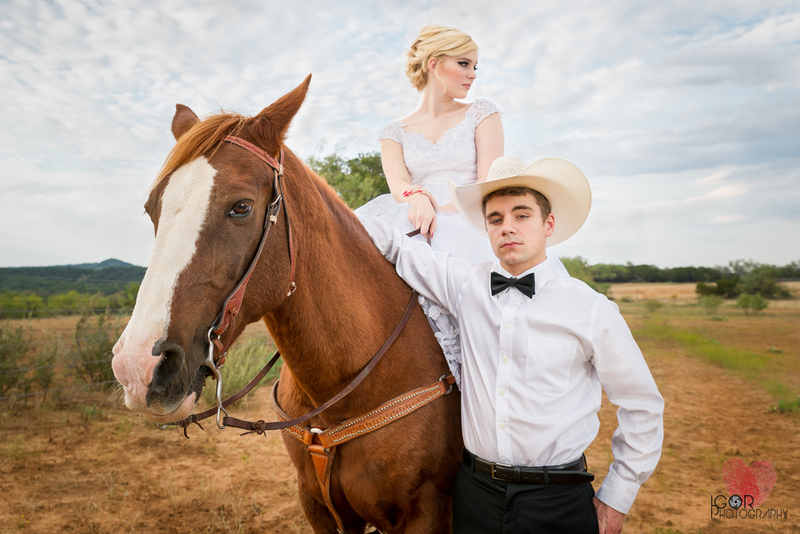 Our clients have patience and trust in us that they will receive wedding photos that are fine wedding art from one of the absolute best wedding photographers in Fort Worth. 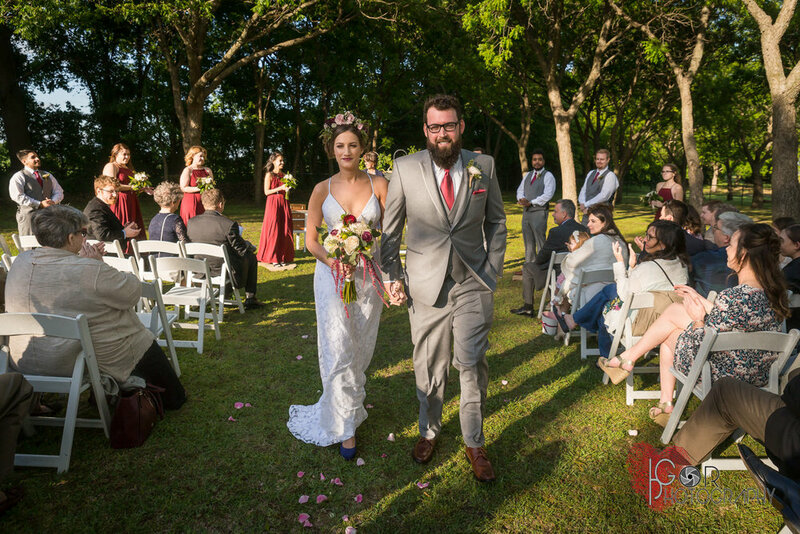 Kelly & Phillip held their wedding at the charming and folksy 1899 Farmhouse wedding and event center in Princeton, TX. there once or hundreds of times. As any amazing wedding photographer should do. We don't just rely on our talent as seasoned wedding photographers, we want to be prepared wedding photographers! 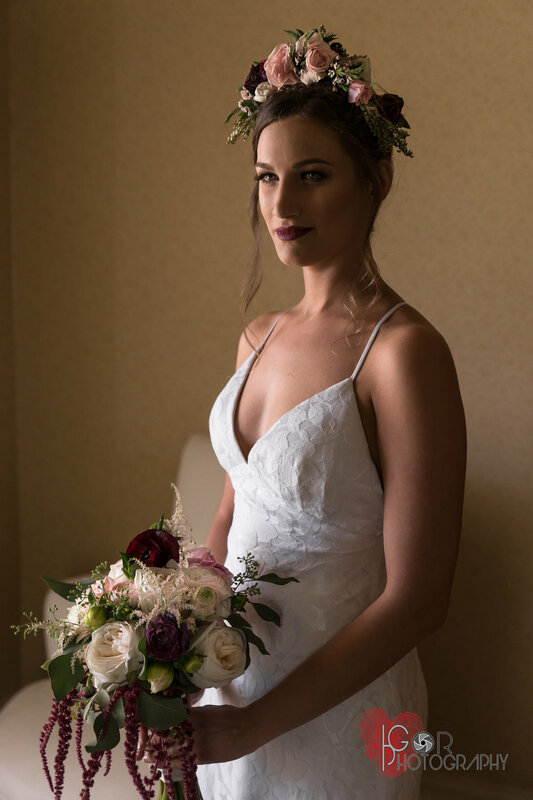 Our beautiful bohemian bride Kelly, being a photographer major herself really understood the importance of lending us the time we needed to not only capture but to also create stunning wedding Images. 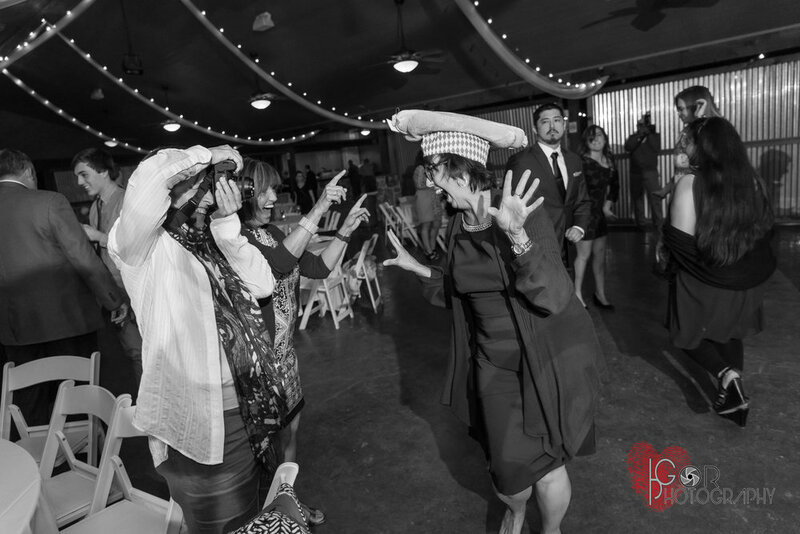 We pride ourselves at IGOR wedding photography, for each and every time doing something a little out of the box when it comes to our craft. 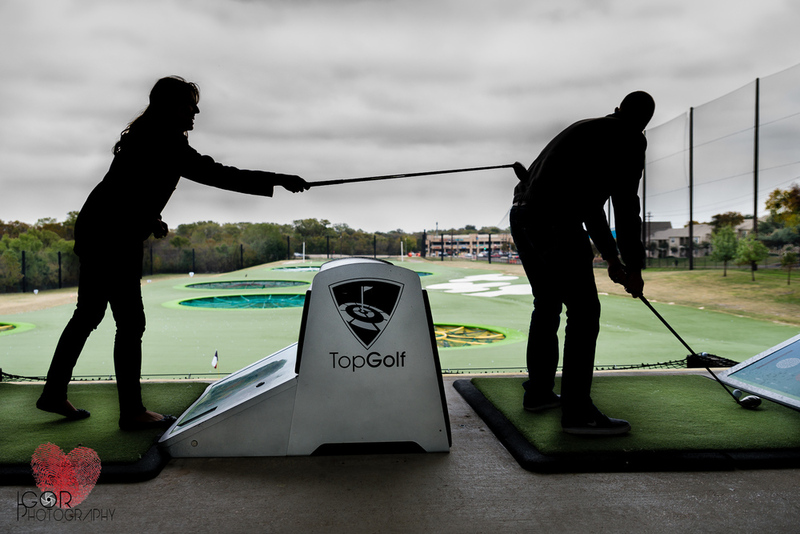 We don't want to walk away with one great wedding image we want you to receive a stunning wedding portfolio and album from beginning to end, and to uphold our reputation as being one of the best DFW wedding photographers! have a vision and allow us the time to recreate whatever is going on in our minds! We mainly shoot photo-journalistic photos during the day to tell the story as it unfolds, but we also take our time to create some fine art images that you are going to want to hang up in your living room. We literally had Kelly & Phillip running through fields, jumping fences, twirling in circles, swinging on swings, it was so much fun, it shows in the photos. The time allowed to create images as seen here is not much when you add it all together. We generally need about 45-60 minutes of extra time for family, wedding party and couple portraits. Usually half an hour after the ceremony and another half an hour later on to get a different look, once the daylight has changed! Brides & Grooms don't be scared to take some time away from your wedding reception to get wedding photos that will last you a lifetime. This is also an important reason to hire a 2nd wedding photographer. They can still be inside your wedding with your guests capturing all the moments and festivities during the "cocktail hour". 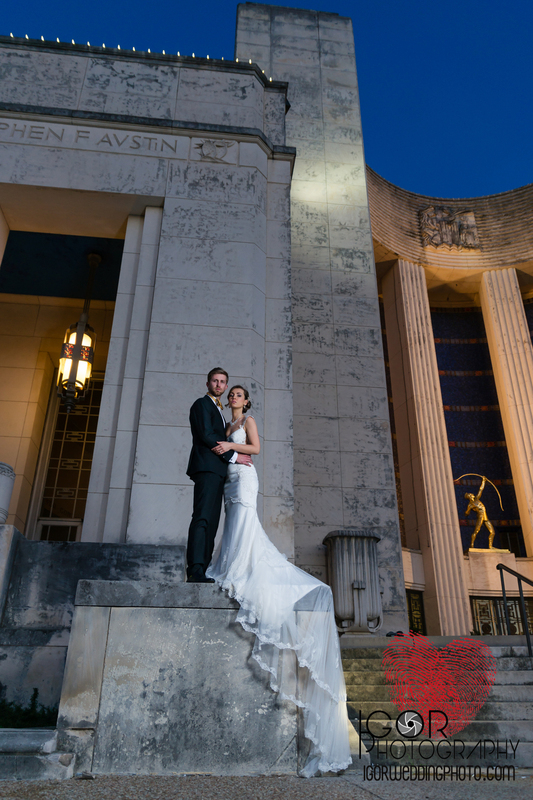 Contact IGOR wedding photography today to talk to one of the best wedding photographers in Dallas-Fort Worth! Let's set up a private & free consultation at our studio. We can discuss your wedding details, what you envision your images looking like and explain to you how we work & educate you on amazing wedding photography! 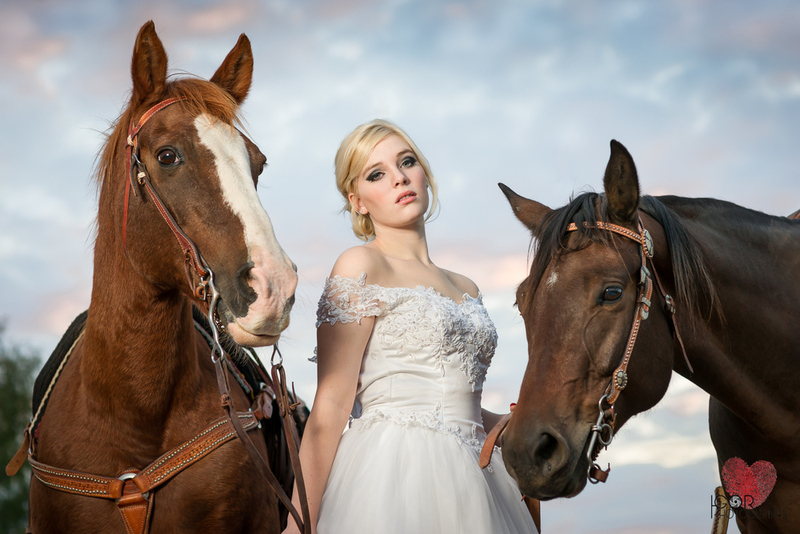 Contact the best Fort Worth wedding photographers today! 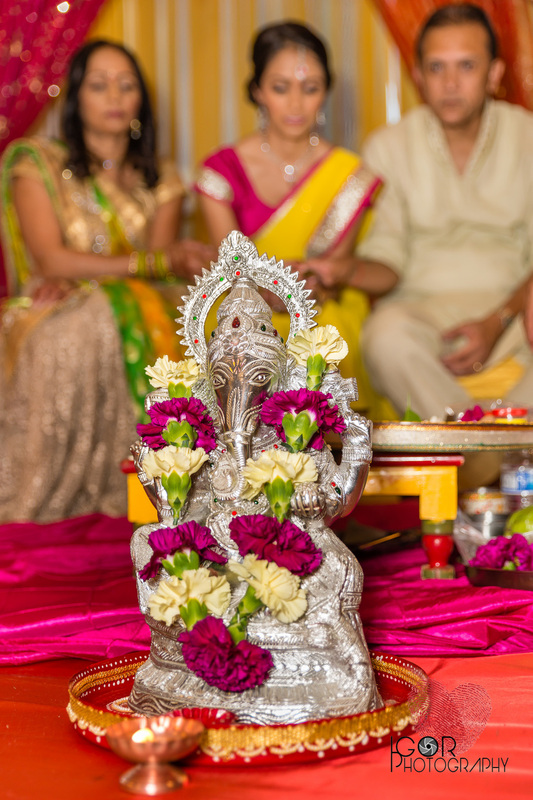 We love to shoot Indian weddings in Dallas, and this Indian (Hindu) wedding in particular was one for the ages. 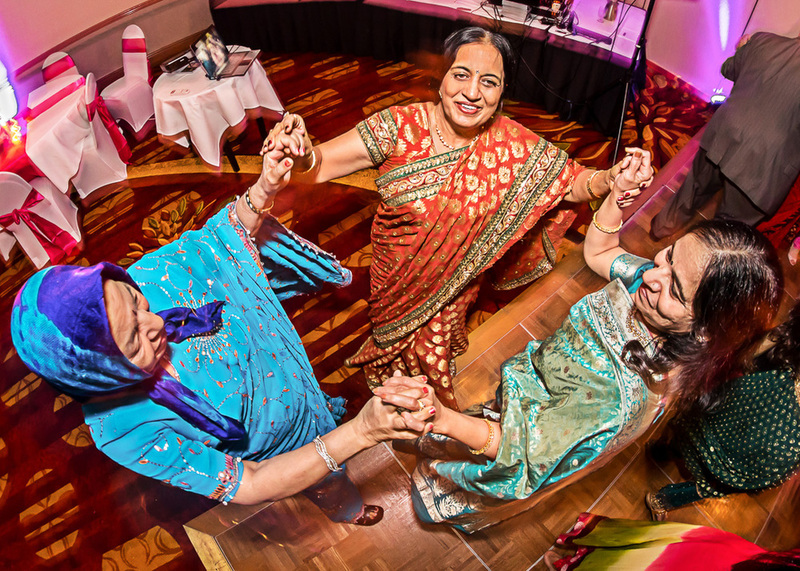 Indian weddings usually last several days, they have a lot of guests, they incorporate a lot of traditions and rituals, and most importantly they are a lot of fun, with an abundance of colorful clothing, decorations, plenty of food and with much joy, singing and dancing. Weddings are one the most important celebrations in Indian culture, and they know how to celebrate it in grand style. 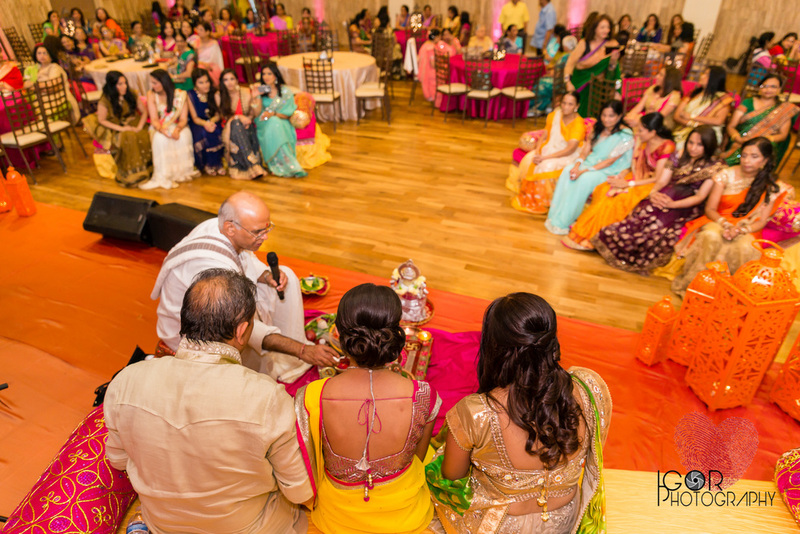 Rachna and Prasad's Hindu Wedding Event lasted 3 full days! I'm here trying to briefly explain how this Indian wedding was celebrated, not all Indian weddings have the exact same rituals and traditions, and I'm sure I have forgotten some parts of it, but this is how essentially most Hindu weddings unfold. 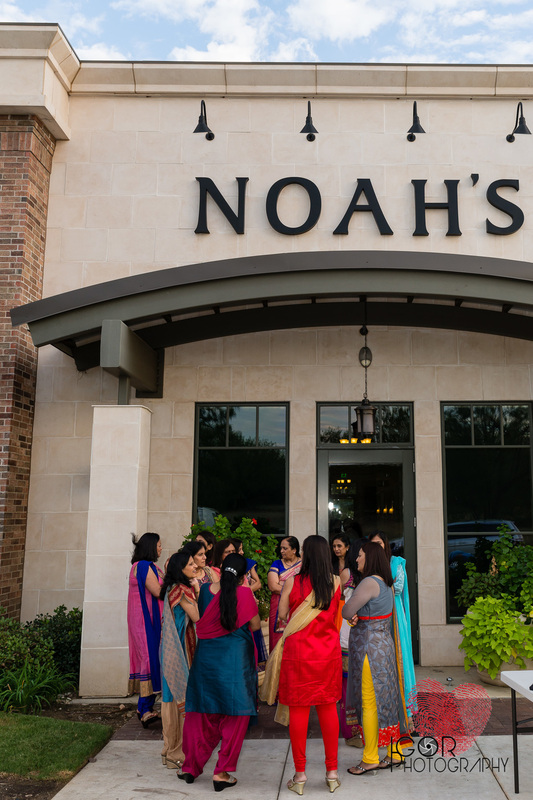 Day one: The Pithi and Mehndi Ceremony, at Noah's Event Venue in Las Colinas, Irving. 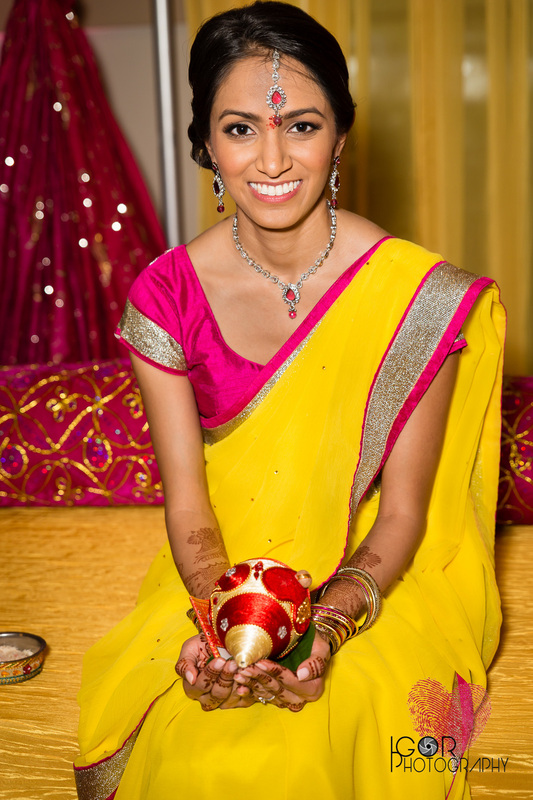 First on day one was the Pithi ceremony for Rachna, the beautiful Indian bride. 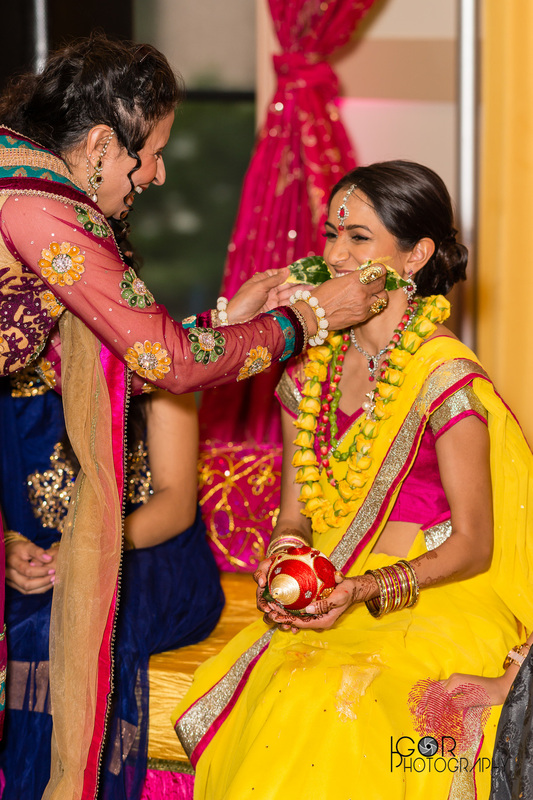 It's a cleansing ceremony, generally held one or two days before the wedding, in which the bride and groom are rubbed with turmeric paste in a beautification process. It's a celebration of love and happiness for the one's who are being married where the relatives come and prepare for the ceremony. The Pithi ceremony indicates that now the girl or boy has entered into adulthood and is ready for the marriage. 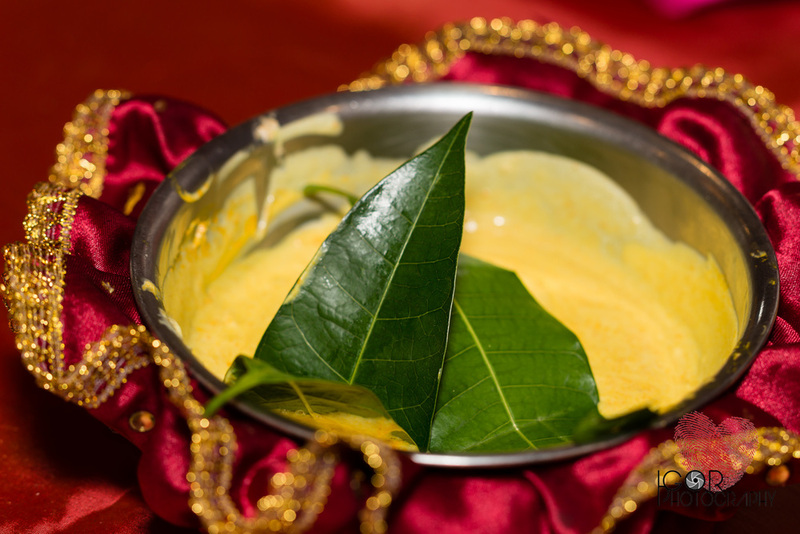 The groom also has a well-planned Pithi ceremony, but in this case we only covered the Rachna's Pithi. After the Pithi ceremony they started the Mehndi part of the ceremony, which is a casual event where henna paste ("Henna Tattoo") is placed on the guests, family and the bridal parties hands/feet in intricate patterns. 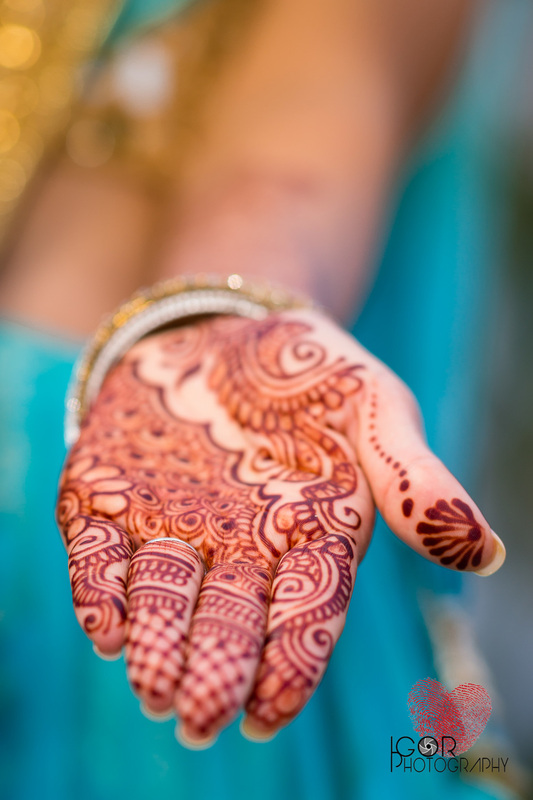 Mehndi is one of the sixteen adornments of the bride, it's a women's function, which takes place a midst musical beats of Dholak, with women singing traditional songs for a prosperous marital life of the bride. After the ceremony they had dinner and social mingling with the guests. Day Two: The Ceremony for the bride's family at the SLPS Community Center in Irving. This was a full day of rituals, ceremony and gift giving in front of more than 800 guests. Including the Mayara, also called the ‘Maternal Uncle’s Ceremony,’ , where the uncle brought gifts for the mothers of both the bride and the groom, including the dresses and jewelry they where wearing at the wedding day.” This is also the first time during the 3 days that the groom and bride saw each other. There was also a large buffet dinner after the rituals and a lot of social mingling. 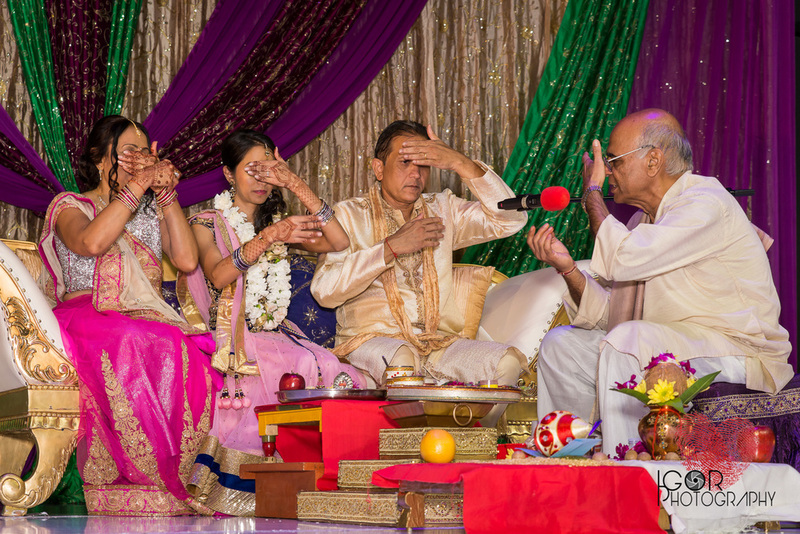 Day Three: The Indian wedding Ceremony (Vivaah Sanskar), at Southfork Ranch in Parker. The Indian culture celebrates marriage as a sacrament (Sanskara), a rite enabling two individuals to start their journey in life together. In order to best understand an Indian (in this case a Hindu) wedding ceremony is to think about it as a romantic story where the bride and groom arrive separately and meet and fall in love. The traditional host for the wedding ceremony are the bride's parents. The groom and his family are the guests arriving. The ceremony shows the transition for the Bride and the Groom, from the first stage of their lives, to their second stage of their lives as a married couple. 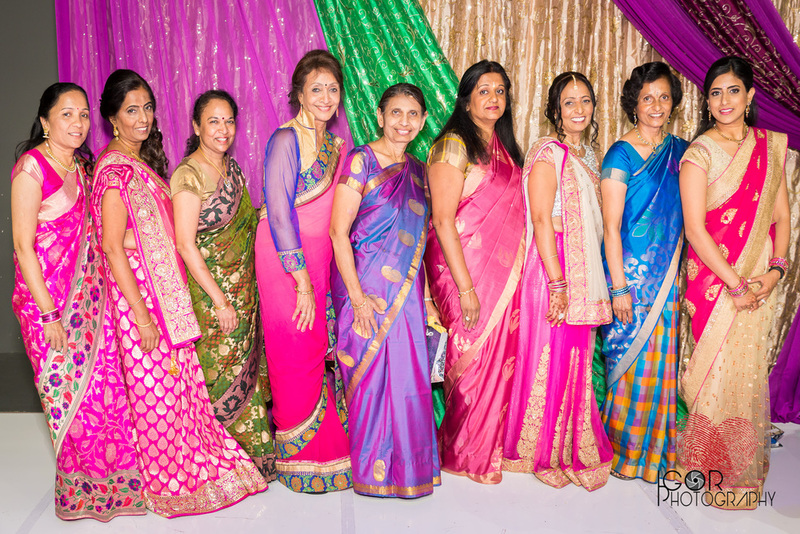 Indian weddings are also about two families being brought together socially, with as much emphasis placed on the families coming closer as the married couple. Prasad, the groom arrives at the venue in a car with a lot of dancing and cheering from the guests and family members. 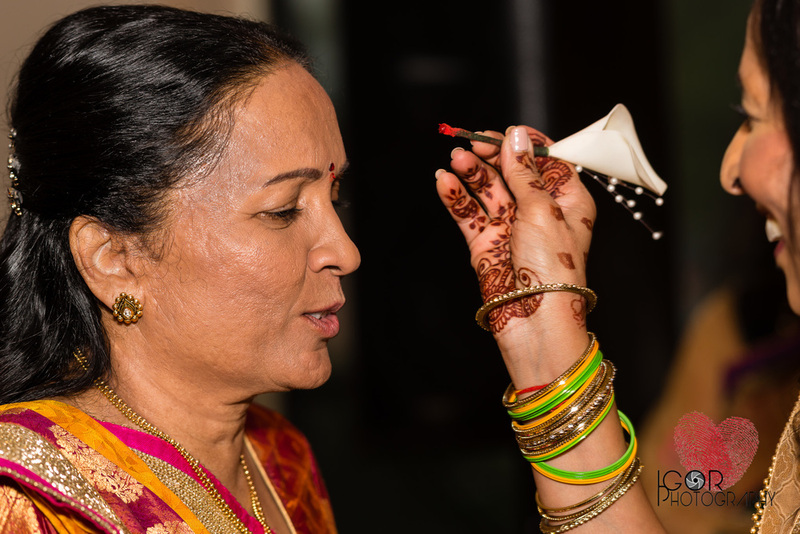 Bride's mother receives the groom and performs a traditional puja to offer her blessing. She will place a clay pot on the ground during the Baraat for the groom to step on and break, This will assess his strength before he takes the brides hand in marriage, this is an important symbolic part. Jaimala, the Pre-Wedding Garland Ceremony: Bride and groom exchanges garlands as he arrives. The Families lift up the bride and the groom on their shoulders. 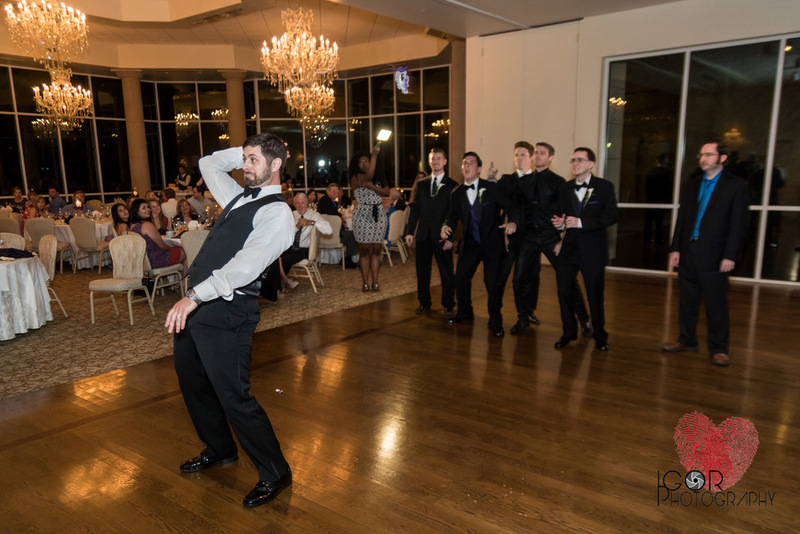 The groom is lifted higher than the bride to show that the bride cannot take the groom from his friends and family. Madhuparka: The groom Prasad walks then with Rachna's mother to where the ceremony is to be held (the Mandap). His feet are then washed and the bride's brothers and sisters then tries to steal his shoes, if they succeed, the groom must then offer money to get them back. This was a wild part of the day, they really tried to steal his shoes, it's no joke! The groom went to sit on the stage until the brides arrived. 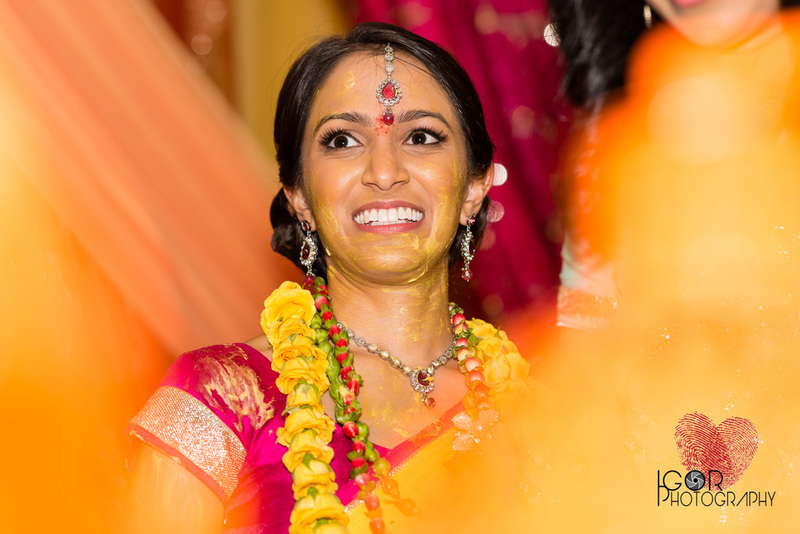 Kanya Agamana: The bride Rachna is then walked down the aisle with her uncle, with one flower girl and no bridesmaids. She then sits across from the groom with a sheet (the Antarpaat) in between so they can't see each other. Once the sheet is lowered, family members started trowing flowers at them in celebration. The couple them exchanged garlands for a second time, this time at equal level. The bride’s father now offered the groom yogurt and honey as the expression of welcome and respect. 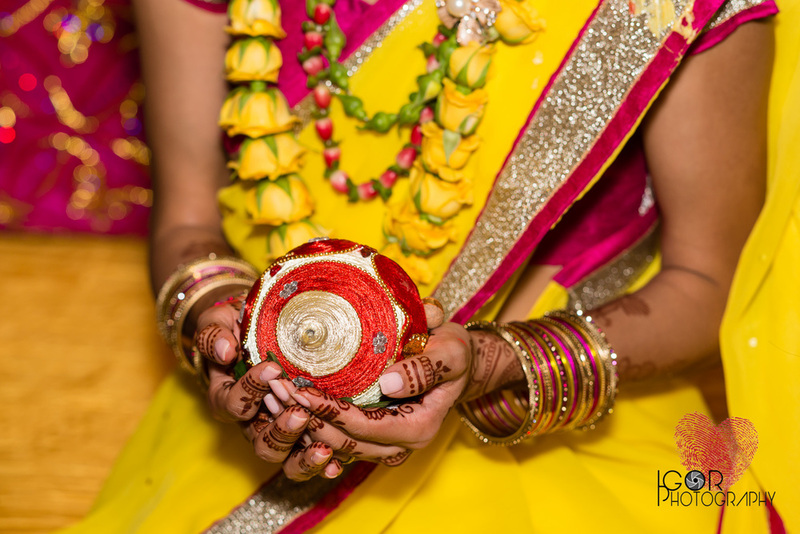 Kanyadaan: The Brides father now performed the Kanyadaan by tying the hands of the couple together in a marital knot (the Hast Melap) he ties a marital knot between the bride and the groom. With this gesture, the father of the bride is giving away his daughter to the groom. The couple then walks around the fire four times in a clockwise direction representing four goals in life: Dharma, religious and moral duties; Artha, prosperity; Kama, earthly pleasures; Moksha, spiritual salvation and liberation. The bride leads first, signifying her determination to stand first beside her husband in all happiness and sorrow. 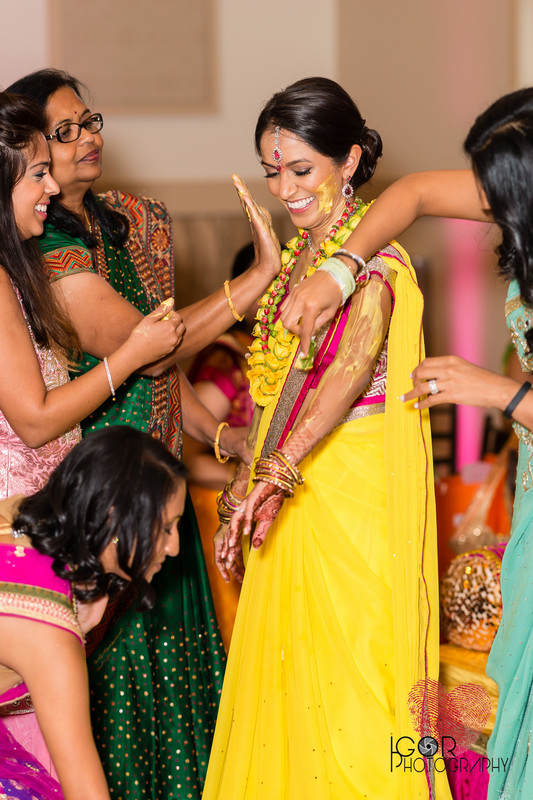 Then the Groom tied the Mangal Sutra (beaded necklace) around the bride's neck, after that the Bride with the groom's help touched 7 betel nuts with her feet. The groom then applied a small dot of vermilion, a red powder (Sindhoor), to the bride’s forehead and welcomed her as his partner for life. They are now a married couple! Then the married couple went to the front of the stage to bow to family and friends to get their blessings. The rest of the day was more like a traditional American wedding day, they had the family photos taken, that took some time since it was a large family. After that they couple went to clean and change clothes while the guest and family had a casual cocktail hour with games for the guests to play, by the famous Southfork Ranch Mansion (from the TV soup opera Dallas). After the cocktail hour the wedding reception started with speeches, entertainment, cake cutting and a lot of dancing and singing. This was certainly a wedding to remember! 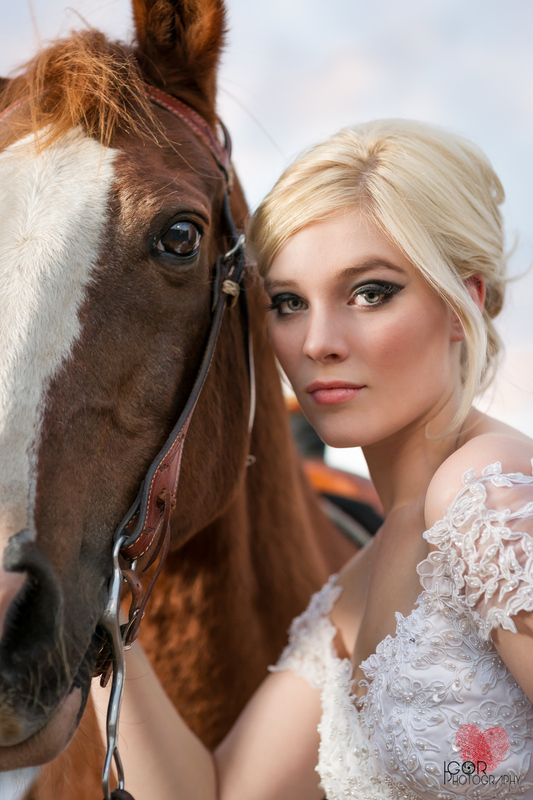 Contact us today if you are getting married and need stunning wedding photography coverage! Thinking about writing Vows on your own ? What qualities do you most admire in each other? Come up with something you promise to do each day or promise to do in the future. This is the whole purpose of writing Vows and reciting them to each other , "Include promises that are broad in scope, such as 'I promise to always motivate you,' also something very specific to the two of you, like 'I promise to say "I love you" every night even if you are away on a business trip. A Dallas Bride writing a love letter to the groom. You have all your bullet points now, it's time to try to make it all flow together and to write a first draft, probably the first of many. Affirm your love, uplift your partner, offer promises and close with The final vow. Write this almost in the format of an essay ,where you write a short love story, then come back to it at the end. You have a first draft or two, it's time to make edits. Borrow from poetry, books, religious and spiritual texts, even from your favorite romantic movies, but try not to let someone else words compete with your own, Remember that your vows need to sound like they come from you and that they define your relationship. It's your wedding day and family,friends and loved ones are present to hear you solidify your bond, so be aware that everyone wants to feel included in this moment. That means putting a cap on inside jokes, deeply personal anecdotes and obscure nicknames or code words. 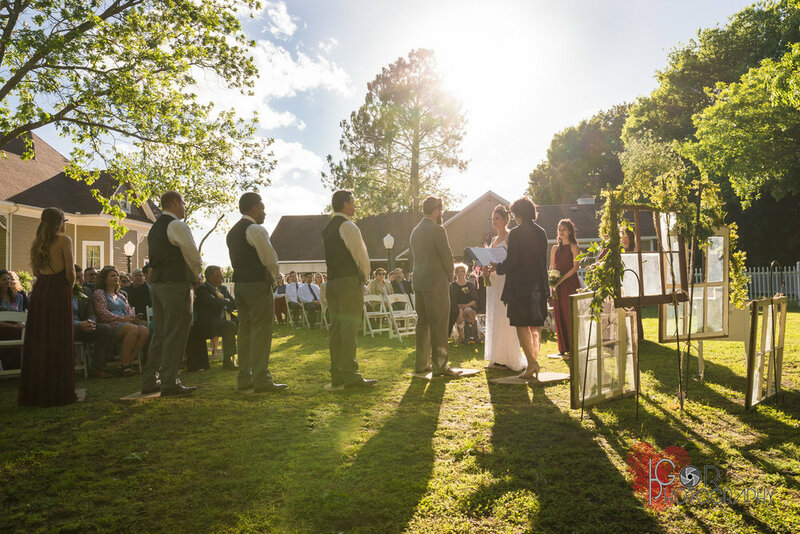 If you are not sure and trust a best man or maid of honor to read it aloud back to you, hearing your words may help you revise your vows, and get the feel for how something comes across, ask for their feedback as well if you feel comfortable. Vows are so important, but they should not run on and on where someone will have to eventually cue the music. Say all the meaningful things and then wrap it up. This is also why reading it aloud will help you edit, if you run over two minutes, it's time to edit. If you have more to say , write it in separate message with a gift and have it delivered to your fiance on the day of your wedding. 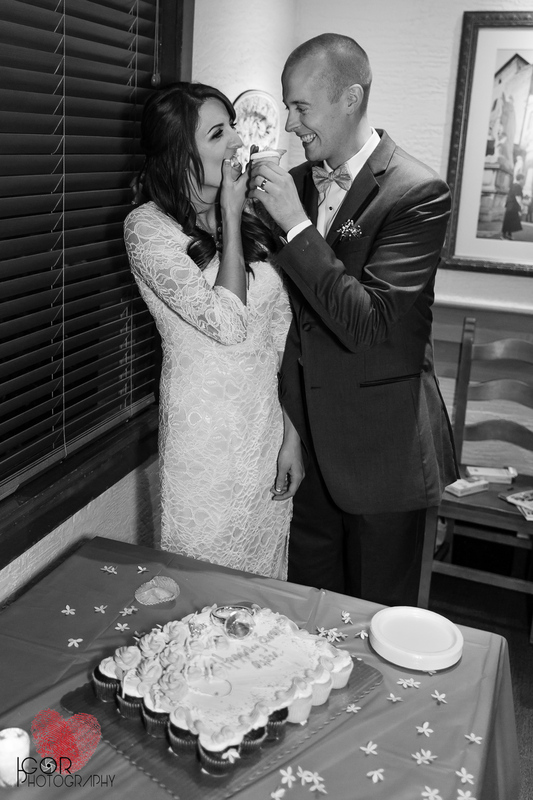 You've written epic vows, you have tears in your eyes from crying or laughing, either is good. Now read it aloud with her or him in mind and rest easy that you have one more thing checked off your wedding list. Once in a while I do a styled wedding or bridal shoot together with some great wedding vendors. I only do it if I have a strong concept that I want to photograph and if it's something that I have never done before. 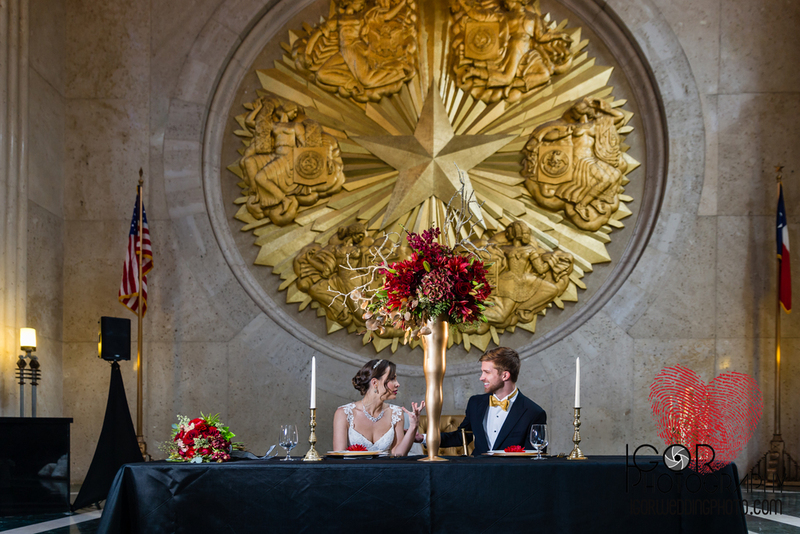 The reason for doing this glamorous styled wedding shoot at The Hall Of State in Fair Park in Dallas was to capture a wedding in this stunning venue and to showcase it's architecture and to combine it with a luxurious wedding party. The theme and style had to be classy and glamorous with a mixture of both vintage and contemporary fashion feel. 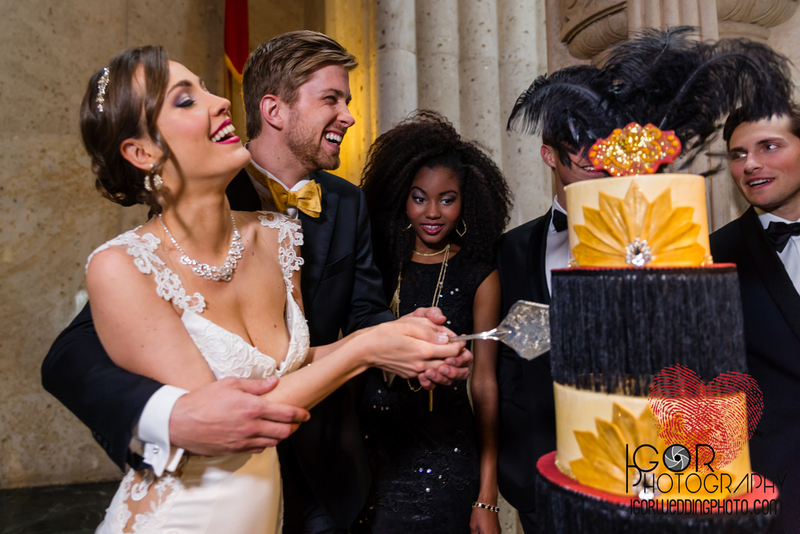 It was a pleasure to work together with Dominique from the Luxe Society Event Group on this styled wedding. 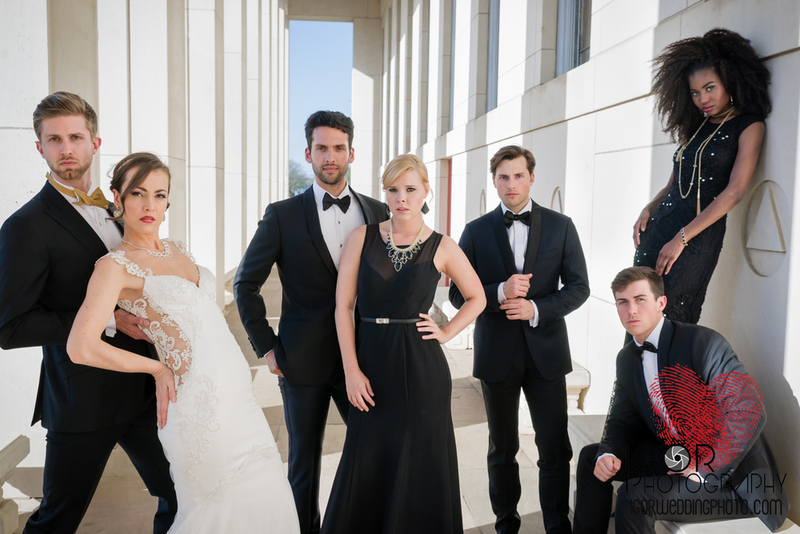 We had a really strong vendor team for this shoot, including an amazing Galia Lahav designer gown, provided exclusively by Neimann Marcus Bridal Salon in Dallas. 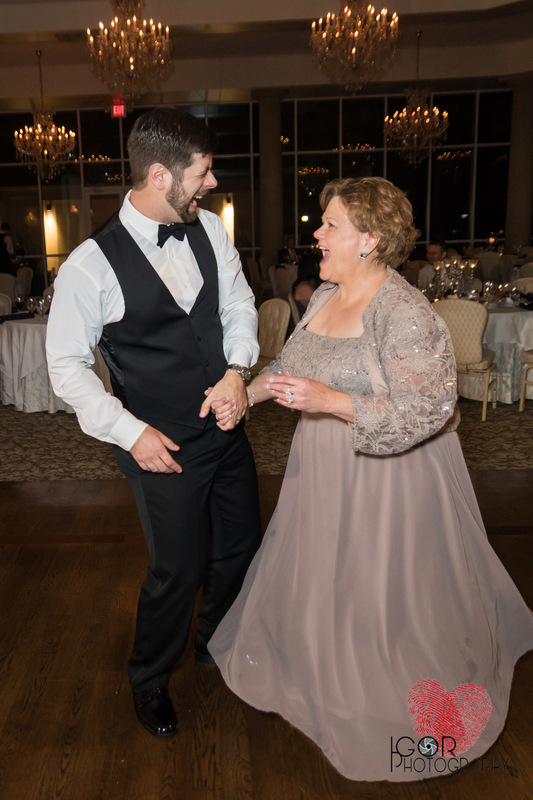 The pretty Bridesmaids dresses were provided by Pence & Panache, the unique jewelry by Kendra Scott and the sharp Groom and Groomsmen suits by J. Hillburn in Dallas. 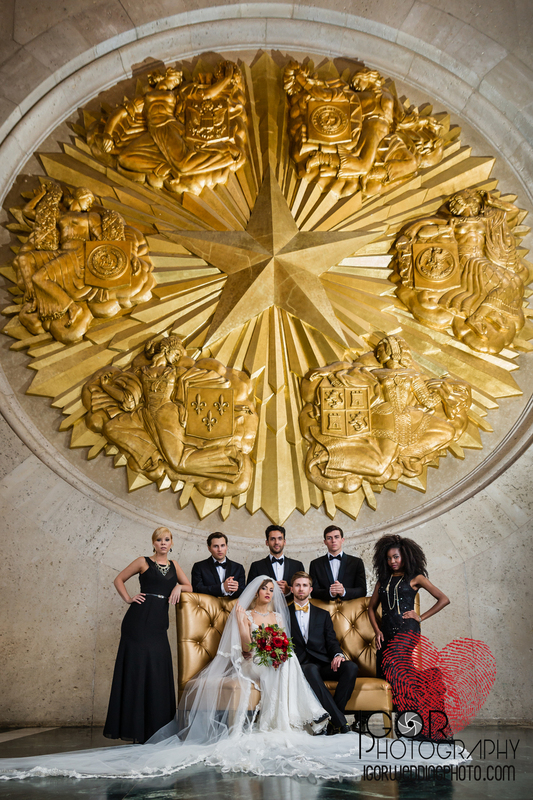 Please see below for the other terrific Dallas wedding vendors that made this shoot so fantastic. Want to leave a green foot trail on your big day? We have compiled a list of fun and inventive ways that actually cushion your bank account, accommodate your guest and add lasting memories to your wedding in an Eco-friendly way. When it comes to being more Eco-friendly most people associate this movement with more cost but it doesn't have to be. Did you know there are environmentally conscious makeup lines, with green in mind? For instance a company named RMS $36, the product not only nourishes your skin, they put special care into the packaging which is made from recyclable glass & recyclable aluminum lids. - The Lip Bar Lipstick $20, sounds like a lot but compared to other brands like Mac, they are about the same price, except The Lip Bar provides the ecological factor, using natural & organic ingredients. When it comes to our wedding photography, we try to leave a green thumbprint in many ways as well! Here at IGOR Photography we provide you a link to a gallery that lets you, friends, family and loved ones access your pictures, share and download them and choose the ones that you want printed or framed. Try to cut down on the paper-trail by asking your photographer for digital photos. That way you can look at them online and choose which ones you would like to print, before requesting them all to be printed. If you want more ways to be Eco-friendly, you could also see if your photographer fits your green values with this simple check list. Not only do we want all of our guest to arrive on time and safely at the given destination, but why not add a green stamp to it as well? We can kill two, or 3 birds with one stone with these simple ideas. Have you choose a venue for the ceremony or reception yet? If not, try to choose a venue that can be acceptable for both or if it has to be two different locations try to make them close and have one large van that can transport everyone in one large or a few short trips instead of everyone taking their own car. Carpooling, or an energy buss/trolley work for this purpose as well to cut down on emissions. Be Eco-chic. 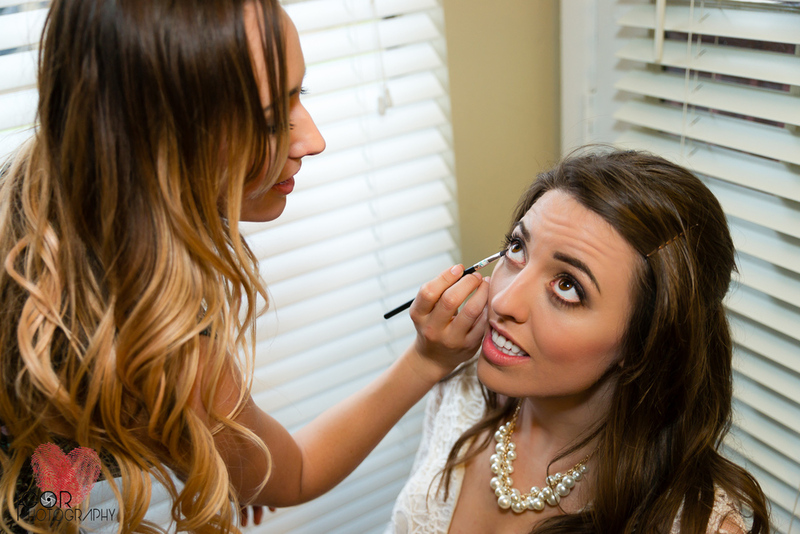 Most brides never think of this last option and for some it may not even be an option! But if you are one of the few who decide that you took pictures of your beautiful gown and that's the best way it will be remembered, you possibly would like to donate your gown after the big day. Let someone else make memories of their own in your dress. - Family gowns have fit and altered. Something to remember me by. This simple element of every wedding can be extravagant or as small as you'd like, but let's be honest most of these trinkets are destined for the garbage can, adding to the already amounting waste we have in the world. Think green! Give gifts that are sure to be used or at least re-gifted. After all, wedding favors can cost upwards of hundreds of dollars for all guest, another non tangible idea could be making a small donation in honor of each guest to a charity that is important to you and your groom. No matter what your style and taste, there or endless ways that your wedding can echo volumes to the contribution of the green revolution. When it comes to the important details of your wedding, it all boils down to the intimate details that you can look back on and cherish. That's why I love the longstanding superstition behind a well versed chant, known to many brides to be. And a silver sixpence in her shoe! Some brides like to (If handy) have a piece of their mothers or grandmothers dress or veil sewn into bouquet or the inside pocket of the new dress, an even better idea if you have the budget have the dress your grandmother/mother wore custom fitted to you with modern touches added to fit your present style. Necklaces, pearls, beading representative or belonging to someone dear to you added to dress or bouquet. Do you have a old love note/letter hubby- to be wrote you ages ago? Fold that up really small and seal it in your bouquet as well, or wear it in the bodice of your dress, close to your heart. This symbolizes your future with your husband and starting a new life. Most likely your dress that you're wearing or your shoes are new, and that can fill most requirements but if not, usually a gift from groom to be before the ceremony or the brides parents and/or bridesmaids. This can be vary in different ways to many brides. This can be a gift that is presented from a friend or mother that is happily married, bringing good fortune to you on your wedding day and in your marriage. Earrings that person presenting gift wore on their own wedding day. a garter is a fun idea as well and the most traditional, just make sure to bring a back up garter, so hers doesn't get tossed in the activities. a venue/city, are you getting married in the same chapel or city your parents did? This can also be considered your something borrowed and also bringing a closer bond to your parents, their son-in-law and you. wrap your dads tie around your bouquet to make an elegant statement. a veil from mother or grandparent. This part of the rhyme is by far the most interesting a symbol of fidelity and love. Did you know white wasn't even considered a traditional color until late 19th century? It was Blue, like The Virgin Marys clothes in Christian Art. Something blue, is where brides like to get the most creative! Blue stitching in the hem of the gown, with "something blue" written or initials, dates, and cherished words. Ribbons, flowers or sapphires delicately placed in the hair or the bouquet. Have your bridal party write brief personal notes on the bottom of your heels with a blue sharpie or a new trend "tar-dis-blue" it's small vinyl decals that can be put on the bottom of your heels ..or cake, wedding invitations, or centerpieces . I've even seen blue henna tattoos in place of the garter, (something the groom can't take off but definitely admire on the honeymoon). and last but not least, a sixpence (equaled to 6 pennies) in her shoe, placed in the left shoe or taped to bottom to bring good luck and wealth. Can be as simple as a penny or whichever coin you choose. Want to be authentic? Check Amazon or Google for actual sixpence coins and have it delivered before your wedding day. 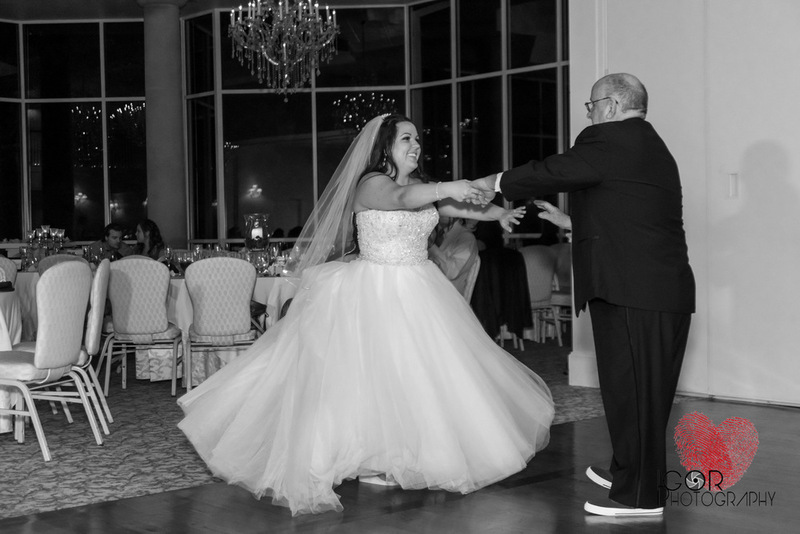 Don't stress if you can't meet all the requirements, following these traditions is a fun way to create new lasting memories in your marriage. I'm very honored and happy to have been selected to be among the top 3 best wedding photographers in Fort Worth by The Three Best Rated. 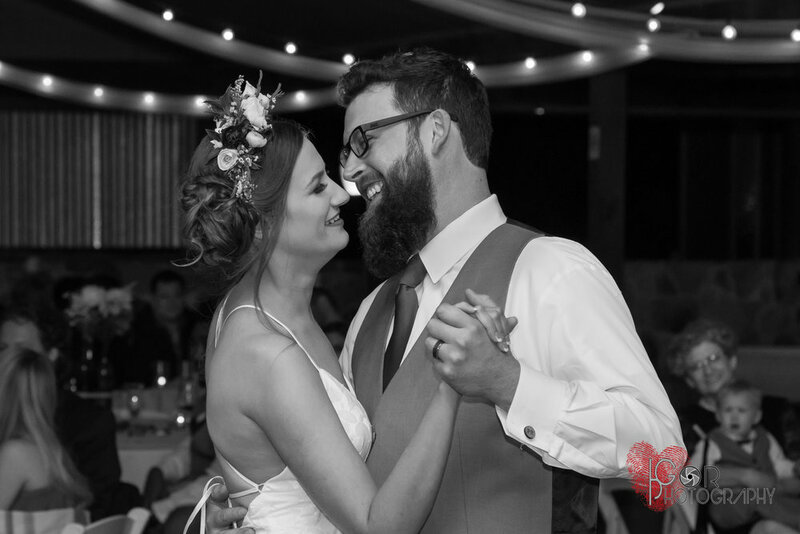 I have been reviewed and rated by an independent review company, threebestrated.com, they handpick the Best Wedding Photographers in Fort Worth, Dallas and other cities. 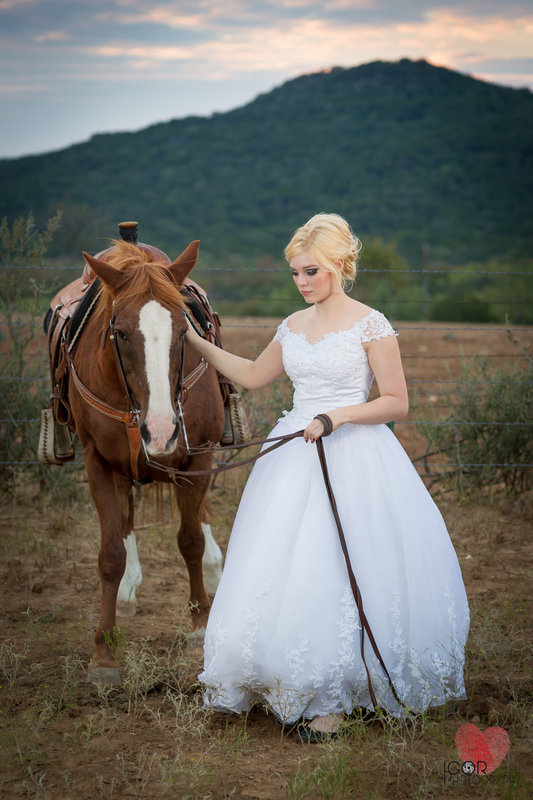 They check customer reviews, testimonials, history, complaints, ratings, client satisfaction, trust, value and the general excellence as a top wedding photographer in Fort Worth. I definitely get happy whenever I get an award, a positive review or any type of recognition as a top wedding photographer. After all the hard work and commitment, It's a good feeling when you get recognized as a great wedding photographer. 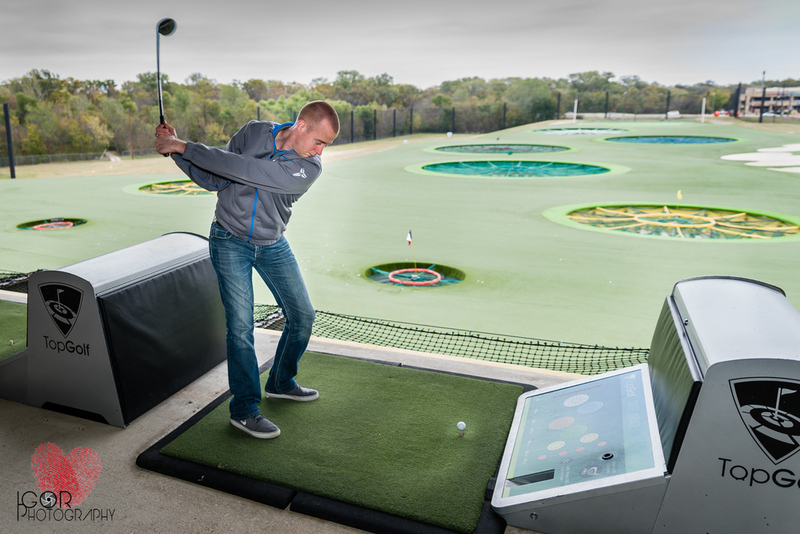 The clients direct feedback is the most important but industry and organizational awards are also important. If you got one of these or if you know someone that just received one, then you or they need to get some great engagement photos and a ring shot by me in 2015 ;) Happy New Year! A had a fantastic time shooting this portrait session with the awesome Katie and Colby at a Palo Pinto horse ranch this fall. 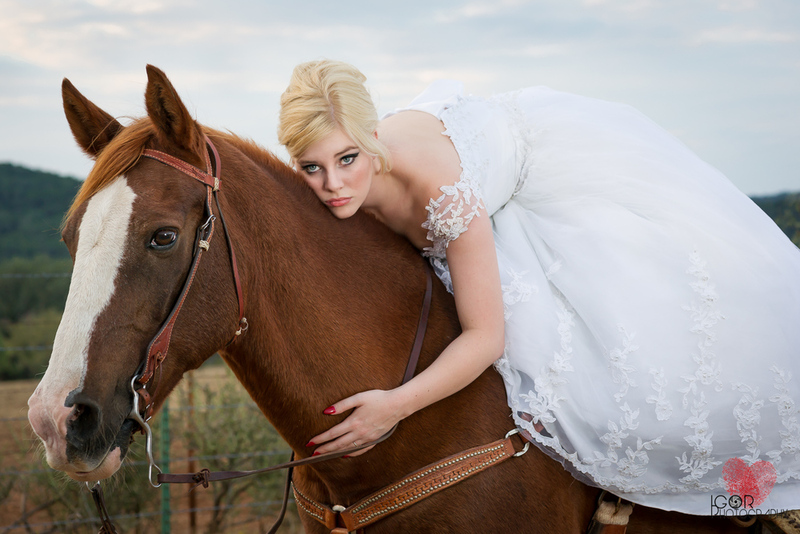 It was extra special since I really like horses and I was sure it was going to be super special to incorporate them in a bridal/groom portrait session.